What makes my sweet and saucy shredded chicken so special? The secret’s in the sauce. This recipe is simple. It requires bone-in, skinless chicken and my favorite sweet and saucy homemade barbecue sauce. 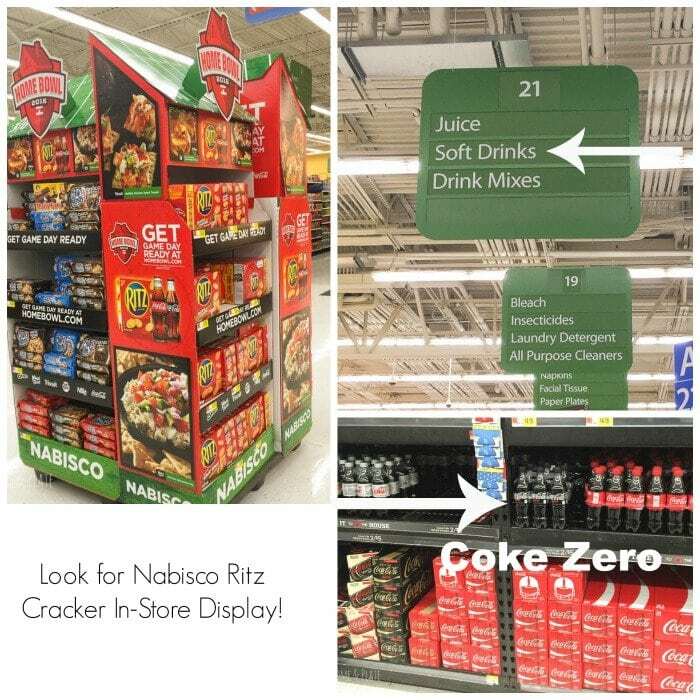 The standout ingredient – Coke Zero! 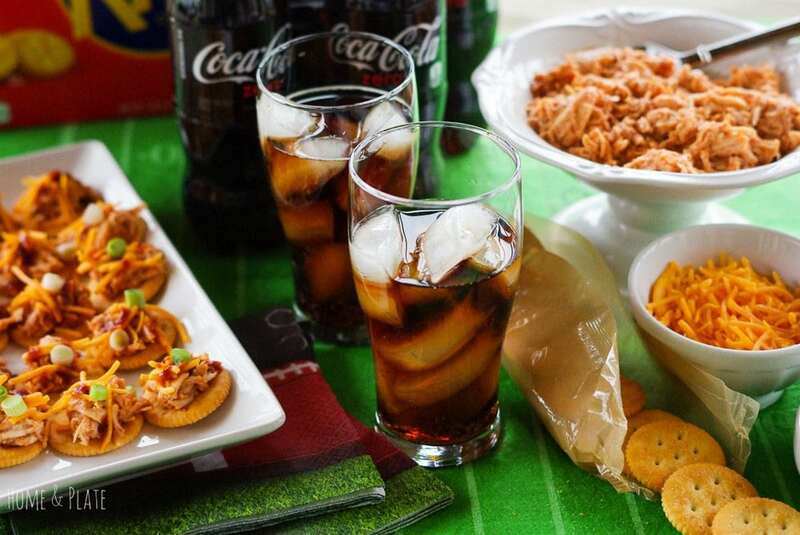 Coke Zero adds a subtle sweetness to the barbecue sauce and it’s delicious on pulled chicken, pork and wings. You’ll only need one cup of the Coke Zero for the sauce so be sure to fill a glass with some ice and enjoy the rest of what’s left in the bottle. Refreshing! Toss the chicken into a heavy pot and let it slow simmer in a little chicken broth until it can be pulled apart easily with two forks. Or save yourself a little work and shred it easily in a stand mixer. Return it to the pot and add as much of my homemade barbecue sauce as you like. I love to top RITZ® Crackers with my sweet and saucy shredded chicken, a sprinkle of cheddar cheese and a few scallions. I’m a fan of RITZ® Crackers because they are buttery and crispy and the perfect party cracker. Arranged on a large platter, RITZ® Crackers are the perfect way to to serve up a bite-sized portion that’s easy to grab and eat. I like to create a buffet style table so when the platter is gone my guests can simply help themselves to more. Be sure to check out my other Game Day Recipes including my Artichoke Spinach Dip and my Buffalo Chicken Nachos. They are the perfect companions to my Sweet & Saucy Shredded Chicken Toppers. The big game is coming up soon so be sure to hit up your local Walmart for the key ingredients you’ll need for this super simple recipe. Coca-Cola is running a promotional offer just in time for the big game – two for $5 on all Coca-Cola 500 ml six packs. 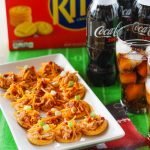 Score rave reviews with your biggest fans at your next tailgate with these Sweet & Saucy Shredded Chicken Toppers served on Ritz crackers. On the stove top over medium heat in a large pot, submerged the chicken breasts in the chicken broth and slow simmer for about 35 minutes. Meanwhile, prepare the barbecue sauce. In a small saucepan over low heat, simmer the Coke Zero, ketchup, vinegar, brown sugar, Worchestershire sauce, onion and garlic powders and black pepper until the sauce thickens. 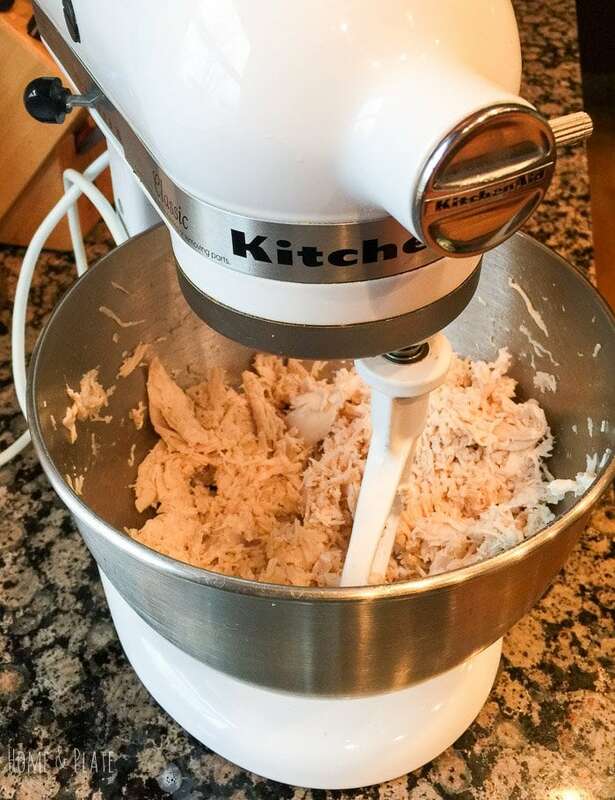 Remove the chicken from the pot and pull the chicken from the bone and shred it with two forks or transfer it to the bowl of a stand mixer using a standard paddle on low speed. The chicken will shred easily. Return the shredded chicken to the pot and add 1 cup of the barbecue sauce. Add more sauce to your pleasing. Transfer the remaining sauce to a bowl to serve. 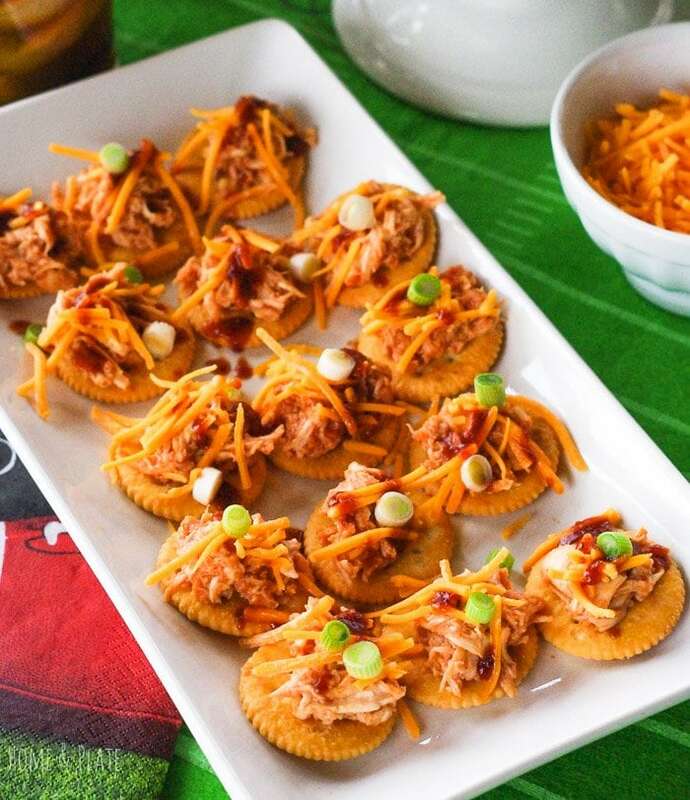 Arrange the RITZ® Crackers on a platter and top with the sweet and saucy shredded chicken. 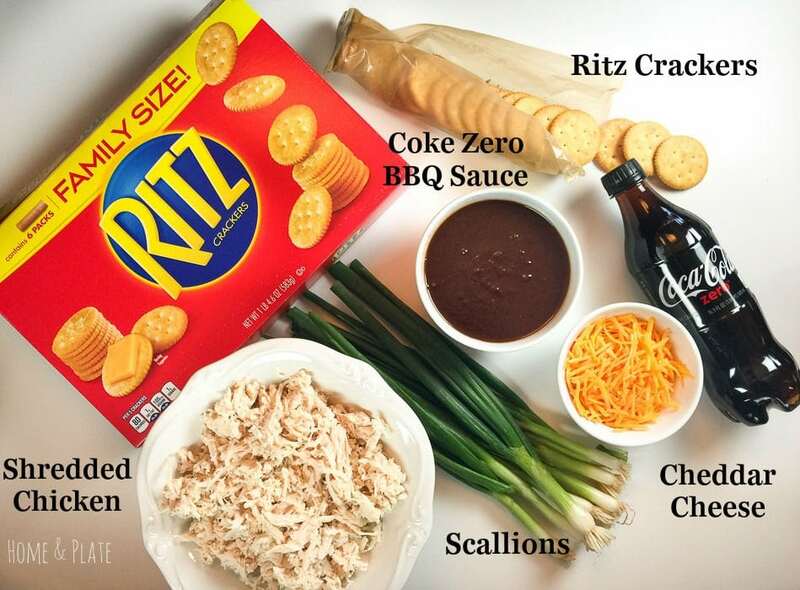 Sprinkle each cracker with shredded cheddar cheese and scallions and drizzle with a spoonful of the Coke Zero barbecue sauce. Now I have the old jingle going through my head…"Everything tastes better/when it’s sittin’ on a Ritz!" Love the shredded chicken toppers, I know they’ll taste great with the crackers. Yes…love the jingle…now I’ll be singing it too! I love Ritz crackers, they are so so good, either by themselves or with something on them. Great tip to shread the chicken in the standmixer! What a fun dish! I really like soda in bbq dishes, it actually works great as a tenderizer for tougher cuts of meat. Yes it does…and it adds a great flavor too! Oh these look AMAZING! Love sinfully quick, easy and YUMMIY things like that! What a clever idea for game day! Love it! 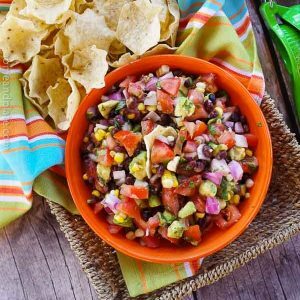 This looks like the perfect snack for super bowl festivities! I LOVE meat when cider vinegar is added. love this recipe! Yes please! This is perfect for game day. It is like a bite sized version of a casserole my mom makes with chicken and Ritz crackers (which I love!). 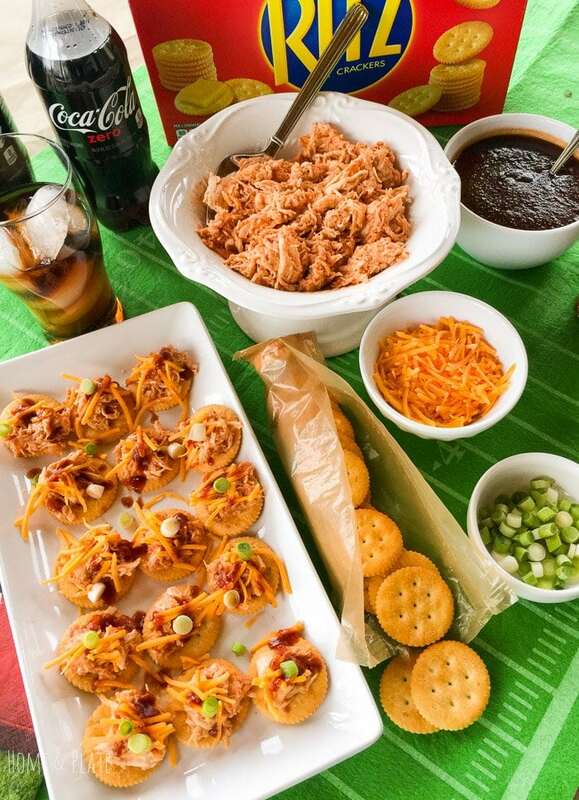 Yes…Perfect for game day….love snacks that are bite sized! I have got to stuck up on Coke, have a bunch of coke fanatics coming over. Heading over to Walmart tomorrow . Thanks for sharing!!! Forget the toppers, can I please have your Kitchen Aid!